Jessie Richards of Trinidad Northern RFC pushes past a Caribs players during both teams' TTRFU Championship Division fixture, at the Queen's Park Savannah, Port of Spain, Saturday. Northern won the match 10-5. 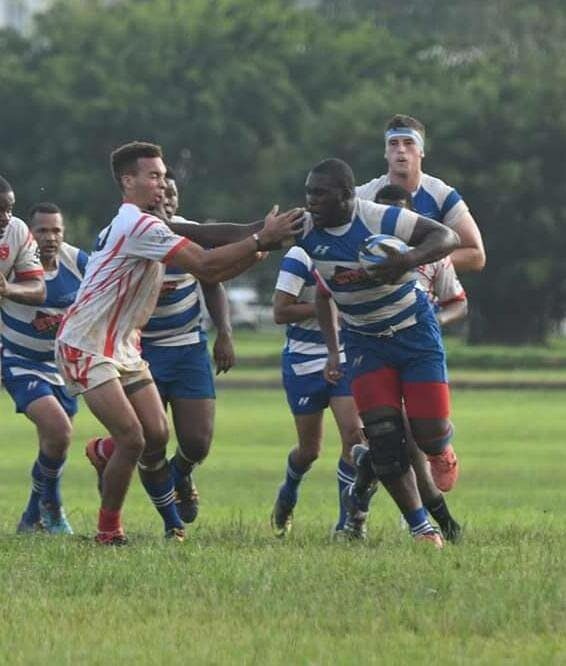 TRINIDAD Northern Rugby Football Club secured its second win in as many matches, dropping Caribs RFC 10-5 in the TT Rugby Football Union (TTRFU) championship division on Saturday. It was Northern’s third straight Bruno Browne victory. Both teams scored one try each, but Sebastian Navarro’s conversion and penalty ultimately separated the pair. Renaldo Bermudez scored the try for Caribs, which went unconverted, and Ronald Mayers got Northern’s try, converted by Navarro. Northern’s win kept them on top the standings after two matches. They opened their campaign two weekends ago with a 24-18 victory over Royalians. Caribs’ loss keeps them winless this season. They were defeated 17-15 by Harvard, the defending league champions, in the Robert Farfan Memorial Trophy —both teams’ first league fixture — late last month. 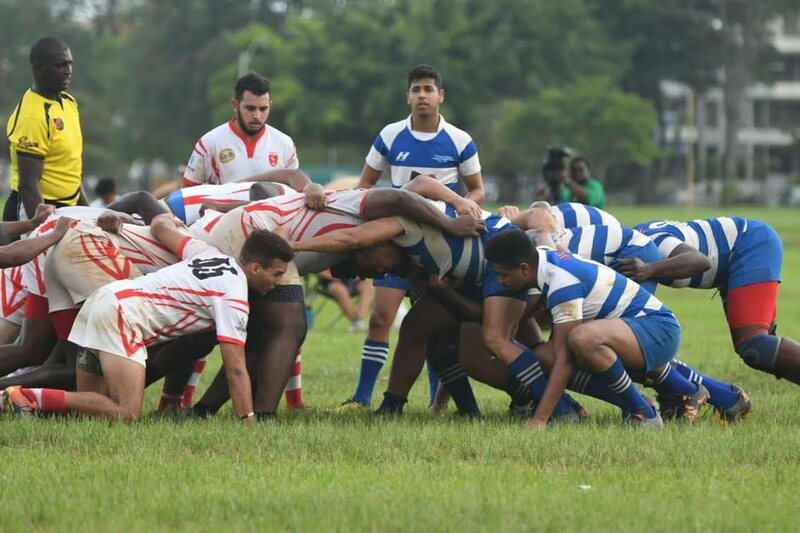 In their second fixture played two weekends ago, they were held to a 17-17 draw by the national men’s U-23 team. On Saturday, Harvard’s second win of the season came in a dominant 31-13 triumph over Royalians. Harvard controlled the fixture from the start and closed half time with a 14-3 lead. Nigel Ballington and Wayne Kelly scored tries for Harvard, both of which were converted by Aasan Lewis. Tariq Cheekes followed with Harvard’s third try in the second half, converted again by Lewis, followed by another pair of tries from Shakeel Dyte to close off the scoring. The bonus point for the comprehensive showing put Harvard on top the standings, just ahead of Northern. Caribs, the reigning knockout champions, sit third in the league after earning a bonus point from each of their two losses, and two points from the draw with the TT U-23 team. Bonus points are awarded in a number of situations, including if a team loses by less than seven points or if a team scores five or more tries in a match. Royalians sit on one point which they recorded in their opening round loss against Northern. Reply to "Northern, Harvard rugby men unbeaten"